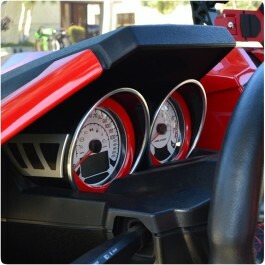 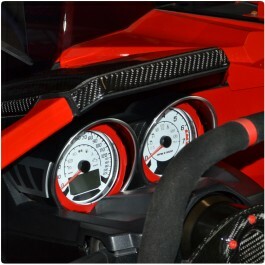 One of the simplest, most cost effective upgrades you can do to your Polaris Slingshot interior is to add colored gauge bezels to accent your instrument clusters speedometer and tachometer gauges. 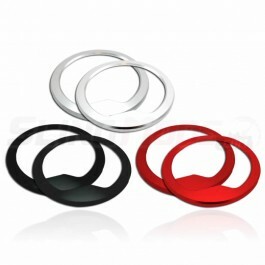 These colored gauge rings are available from a variety of manufacturers and range from options including OE color matched powder coating, anodized and even a peel & stick version that installs in seconds. 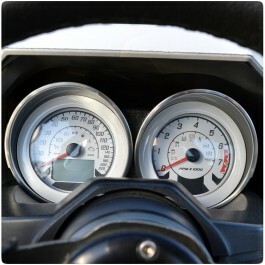 All of the gauge bezels we offer are proven with great customer reviews and extensive time on the market. 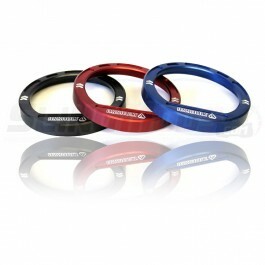 You really can't go wrong with any of the options we have available.